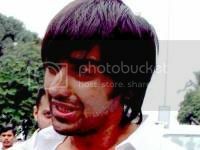 Actor Ashish Chowdhry, who lost his loved ones in the Mumbai terror attacks on Oberoi-Trident Hotel on November 26, 2008, pours his heart out in an open letter to the media. "Yes I am not yet in the frame of mind to talk or deal or replay the destruction of my family and their souls but I would still like to pen down my gratitude to you who stood by, called, sms'd and comforted me at a time where my whole world collapsed. If there is anything that can hold me together now and not let me crumble fully, are the two small innocent lives who in a matter of seconds lost the two people who were their world. Who only waited not understanding why their parents havenâ€™t returned from dinner yet. Their innocent hearts looking into our eyes when we finally broke the news. They were searching for some meaning out of this meaningless act of perversion And those are the two lives who are holding me and my family together urging us to be strongâ€¦for them . Kanishq (12) and Ananaya (7), "Pokey" and "Ducky" as I lovingly call them, are our little Angels whoâ€™ve lost more than what can ever be even imagined. But we are going to tryâ€¦try hard and rebuild their lives. We are going to bring their smiles and the twinkles in their eyes back. Bring back the joy of a really happy beautiful family that the animals, the cowards destroyed. I stood there helpless and angry while strangers came and snatched away pieces of our hearts. I could do nothing â€¦nothing but just ask one question - Why? Why them? And the answer was a cruel silence that numbed me. There is no solace there is no way on earth anybody can tell any of us to console ourselves,this hurt will stay forever. The gaping wound will never heal and the anger will only stay hidden. And I feel for all of us. I'm sorry for all of us who suffered. And for all who live with his feeling of instability, insecurity n hatred. But we've gotta get a hold of ourselves. We've got to be strong and move ahead with a conviction. We're the ones whoâ€™ll eventually make the desired difference. In this horrifying game of fate, the one thing we want to tell Monica and Jiju is that today their children not only have four extremely loving grandparents, who have always doted over their grandchildren but also a huge family of Aunts, Uncles and cousins that have so much love to give. The one thing that I really want them to know is that they will always have a second set of parents within Samita and Me. We will be there in everyway we can, along with everyone else in our beautiful family, to look after them, try and raise them the way Monica and Ajit have done all these years and hopefully we will be guided by them from above, to be their second Mum and Dad. Please don't take my silence and withdrawal of not talking as any form of disrespect. I have still not come to terms with what is real and what is not. Life is drawing a blank and it will be sometime before I can fill the void. I am pouring my heart out in this letter hoping you understand. Thank you for being there and I really mean itâ€¦"
really sad day for him and all those who lost someone .... iam lucky that my bro is safe in mumbai ..